Sorry for the lack of posts here the past couple of weeks. Hopefully you've kept up with the Tumblr and/or Patreon feeds, but if that's not the case here's what you missed! 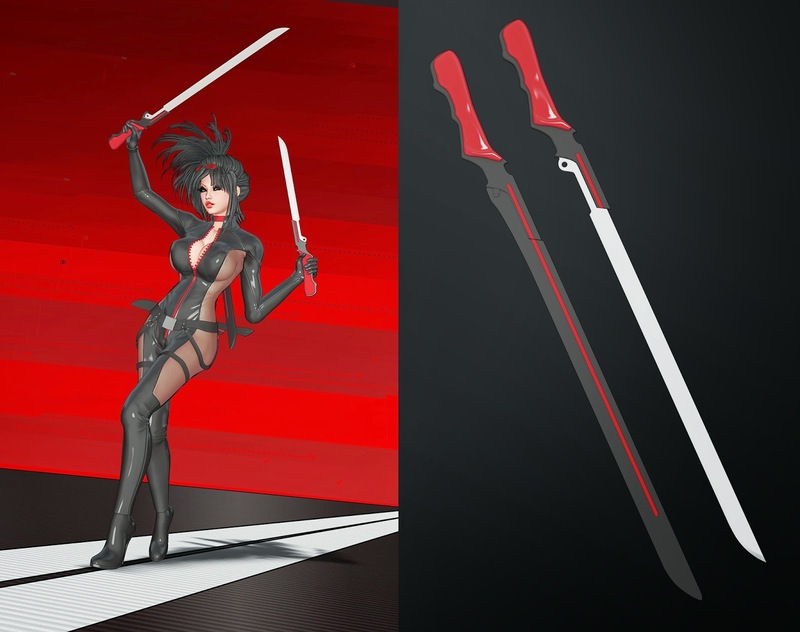 First off, a couple weeks back TK and I sketched up a design for Malise's katana, and a few days later TK had the model done. The weapon type won't be available in the first release, but you can check it out below. In other news, I just made a post today on the Patreon showing off some new map screenshots as well as regarding what's left to do for the first release. Keep reading to check it out! First things first: I just made a post on Tumblr (http://eromancergames.tumblr.com) with new screenshots of the map scene and sprites (utilizing the fancy dynamic shadow thingy I just scripted). Finalized prints and ordered some test prints for the $35 tier reward. Aaand I think that's it. Thanks for being super patient by the way. It won't be perfect, but I want your first impression of the game to be a good one and not one where you feel like you're wading through a buggy mess. Subsequent updates will definitely be more frequent. Anyways, I'll post back in a few days with details on the release once we've gotten a chance to test some more! Until then! I would like to know if you guys plan on adding any prostitution content. 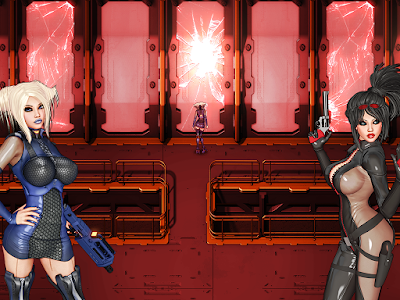 I mean, there is a door to somewhere the heroines need to go, but there is a guard on their way. They have three options, bribe him, fight him or seduce him. 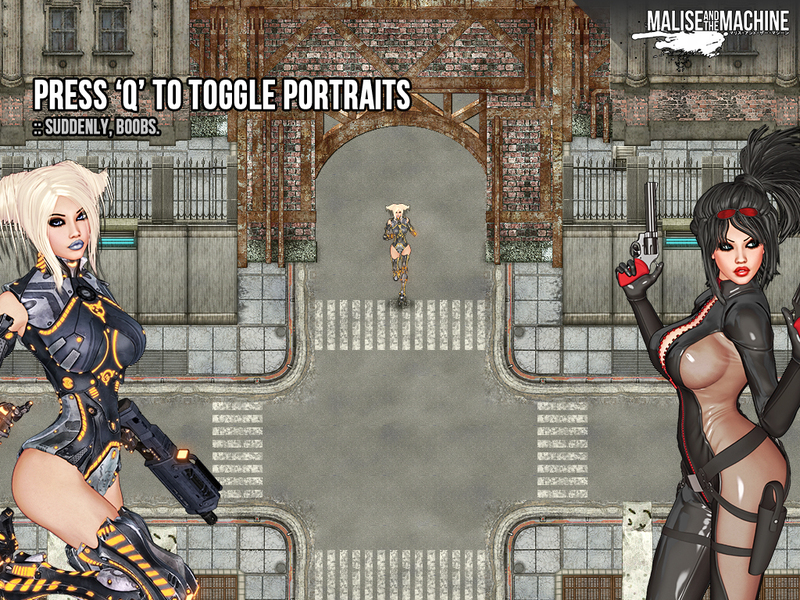 If you choose the last option a scene triggers. Or of course, the "traditional" NPC offering money for something with one of the heroines and you being able to choose to accept or refuse. Do you guys plan on putting any of this on the game? By the way, I am asking this because I am REALLY interested on this game. Your art style is PERFECT and I have really high hopes for this game. I just need a slight push to become a patron, and the answer to that question might be it! Details for the First Release!